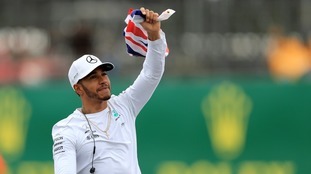 Lewis Hamilton has been urged to complete his F1 legacy by working alongside motor racing's UK governing body to improve diversity. Stevenage manager Dino Maamria has personally invited Lewis Hamilton to come back to his home town to watch them play. 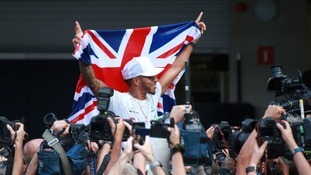 Stevenage's Lewis Hamilton has been crowned Formula One world champion for the fifth time in his illustrious career. Young driver George Russell, from the Fens of Cambridgeshire, will race for Williams in Formula One next season. Force India have agreed a deal to come out of administration and all 405 jobs with the team have been saved, the Formula One outfit have announced. The deal has been agreed between the joint administrators, a consortium of investors led by Lawrence Stroll, and the Silverstone-based team's senior management. The investors are Canadian entrepreneur Andre Desmarais, Jonathan Dudman of Monaco Sports and Management, fashion business leader John Idol, telecommunications investor John McCaw Jr, financial expert Michael de Picciotto, businessman Stroll and his business partner Silas Chou.< Stroll is the father of Lance Stroll, who currently drivers for the Williams F1 team. An exclusivity agreement signed on Tuesday means that the team will be able to exit from administration, all creditors will be paid in full, all jobs will be saved and ongoing funding guaranteed. Milton Keynes-based Red Bull have announced that star driver Daniel Ricciardo will leave the team at the end of the current season. Stevenage star Lewis Hamilton has agreed a two-year contract extension with Mercedes through to the end of the 2020 Formula One season. It ends a long-running contract saga with a deal reported to be worth up to £40m a year to the four-time world champion. It cements the 33-year-old's status as Britain's biggest sporting earner as well as the best-paid driver in Formula One history. 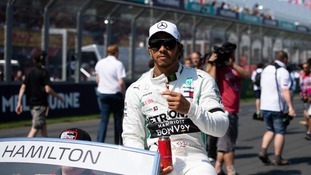 Hamilton told the Mercedes website the contract had been a "formality since Toto and I sat down during the winter". "I have been part of the Mercedes racing family for 20 years and I have never been happier inside a team than I am right now. Hundreds of thousands of Formula One fans will descend on Silverstone for the British Grand Prix this weekend. Stevenage driver Lewis Hamilton has apologised for "inappropriate" comments he made about his young nephew wearing a princess dress.